Saleen has been awfully quiet for a while, but now they are back and they are making some noise. The American tuner and car maker just announced the production of the new Saleen 351 Mustang series, which judging by the numbers they are claiming, is a serious bit of kit. The 351 package is available for both Hardtop and Convertible Mustangs, and includes both visual and mechanical upgrades that take the muscle car to a whole new level. It even puts Ford’s own Shelby GT500 to shame. Powered by a Saleen-tuned supercharged 351 cubic inch V8 engine, these cars have 700 hp and 655 ft-lb of torque. That’s 40 horsepower more than GT500, which is already a 200mph car. Saleen also equips its Mustangs with their Red Butterfly Center Ram Air Induction system and an aerodynamic body kit that distinguishes the car. 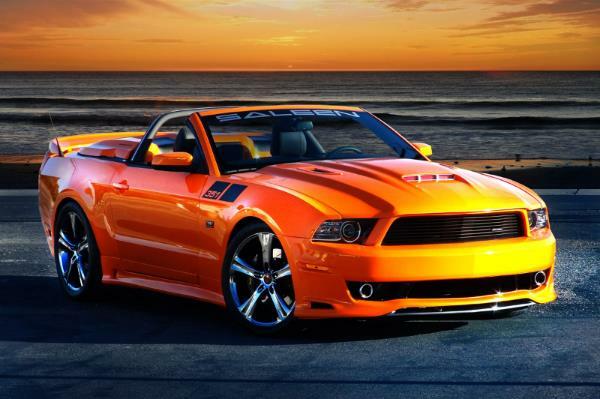 Now word on the pricing yet, but you can place your order right now for a Saleen 351 at any of their dealers in America.